A sterile gel-soaked non-adherent dressing specifically designed for use on the face. 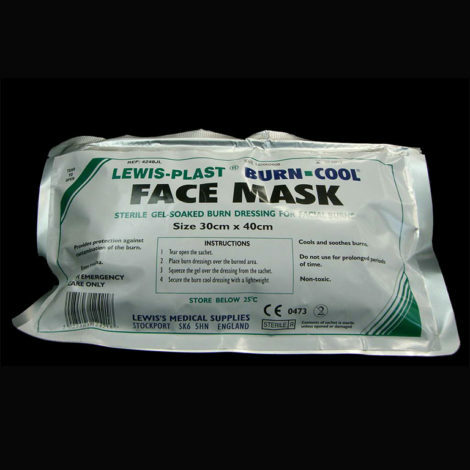 Cools and soothes burns. Eases trauma and provides protection against contamination of the burn.